Get Digital Data provides today's modern applications and devices with a new choice in CD and DVD metadata. Developers can either license the GD3 database directly from Get Digital Data on a per CD/DVD basis, or you can simply provide a username/password area in your application for your customers to license this data on a per CD/DVD basis. Since Get Digital Data only requires a credit card number to maintain an active account, your customers can easily pay as they go whenever they use the data service. GD3 data is supplied to devices or applications via a secure webservice, so developing with GD3 could not be any easier. Get Digital Data’s GD3 database represents the third generation of CD & DVD lookup databases. Developed internally by Get Digital Data, GD3 uses the best practices available today in order to set the standard for CD/DVD lookup databases. Realizing the need for accurate, consistent data that included cover art within the bulk CD/DVD ripping business, Get Digital Data has worked for years building GD3 to be the next generation database for the next generation of digital audio/video products. The first generation databases consist of user-shared information. While these databases are very broad in coverage, they methods they use to accumulate data lead to vast inconsistencies and inaccuracies in the data they provide. The second generation of database consists of manually entered data from commercially available CDs. While they are able to provide more accurate data that includes richer content, their overall coverage of CDs is severely limited, leaving big holes in CD collections. Get Digital Data recognized all these problems with today’s databases and thus created GD3, the next generation database. 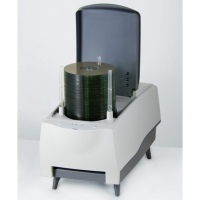 Just like second generation databases, Get Digital Data is able to create its database manually, however, the sample range for Get Digital Data is much broader since Get Digital has access to every CD ever printed through its CD ripping service. By identifying the key problems that exist in the only CD lookup databases available today, Get Digital Data has been able to architect the right database for today’s applications requiring better data. Like Gracenote, Get Digital Data has access to a broad range of CDs that can enter the database giving it a broad coverage. Get Digital uses manual entering techniques that include specific rules to insure accurate and consistent metadata. Since nearly every interface uses the metadata to organize a CD collection, this system of checks and balances insures that you can deliver the best-organized CD collection available today. Get Digital Data includes high resolution images of CD/DDVD artwork to allow for the best possible image on PC and TV displays. Lower resolution images provided by second generation databases result in poor images when displayed on large displays such as TV's. By scanning our own artwork, we can insure the highest resolution and exact matches to the CD/DVD. Get Digital Data provides an easy-to-implement webservice for access to GD3. A simple webservice can be implemented by any operating system and does not require any special tools in order to start development.